Less than a week is left in the 2015 MLB regular season, and as the season steams to a close I noticed a couple things about my own baseball preferences which, quite honestly, disturbed me. 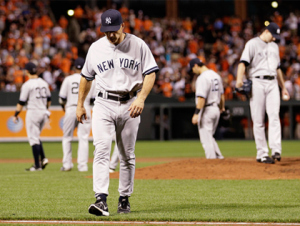 First off, and I can’t believe I’m saying this…I have been rooting for the New York Yankees here as the season ends. The fricking Yankees. The only team on the planet I despise more than anything associated with the University of Texas. Yes. I have been rooting for them. It hasn’t helped, at least for the most part. The Yankees, who led the AL East for much of the season, got passed by Toronto a few weeks ago and are now 5.5 games back with five games left. 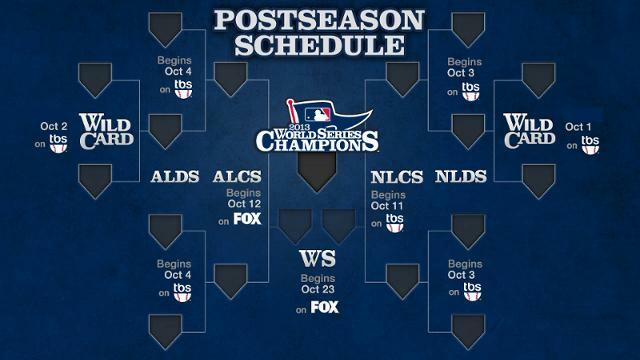 So they won’t win the division, although they do have a 3-game lead in the wild card race. Doesn’t sound that bad, except when you consider who the Kansas City Royals could face in the playoffs, either in the Divisional Series or the League Championship Series. Put simply, the Royals match up much better against the Yankees. The Blue Jays are the team nobody wants in this year’s playoffs. At any level. They mash the ball. Their pitching has improved. And say what you want about some of the whining antics or manufactured outrage coming from a Jose Bautista or Josh Donaldson…but the Jays play for each other very well. One other thing you may have noticed since the trade deadline: if the Jays are involved in a close game, something now almost invariably happens to tilt the scoreboard in their favor. Like I said: nobody — and this includes the Royals — wants any part of Toronto starting next week. My rooting for the Yankees goes against everything in my baseball being. (Apparently this is more deeply-rooted than even I knew. Last year, my dad told me he wouldn’t have known what to do with me if I had become a Yankees fan growing up.) So that’s unnerving all by itself. 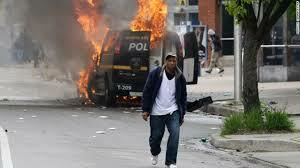 But when the Royals went to Baltimore earlier this month, I had no rooting interest for the Orioles. And I’ve been rooting for them since 1975. 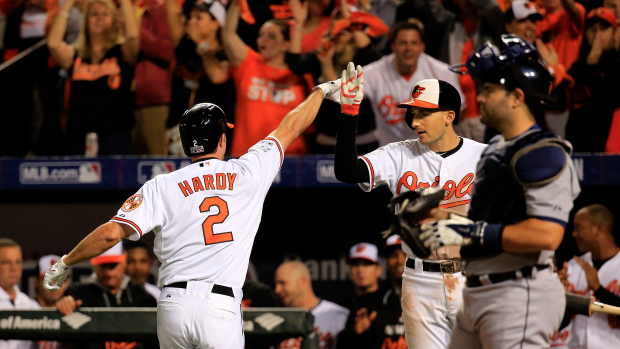 The Orioles are the team I latched onto when I started learning about baseball — and now it’s just, well, meh. Have the Royals finally become my favorite team? Initially, I’d say yes. 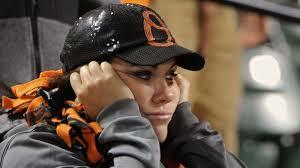 However, the Orioles did next to nothing last offseason after the Kansas City sweep job in the ALCS. They hardly did anything near the trading deadline to improve the club and bolster a playoff push, even though they still were pretty much in the thick of things at the season’s midway point. It’s almost as if upper management didn’t care. 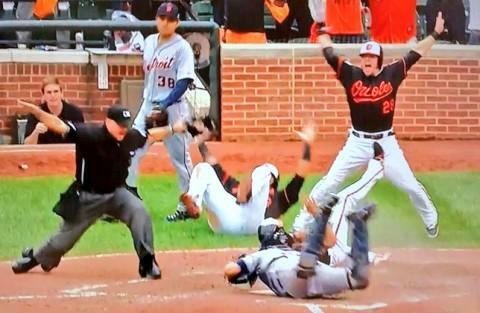 That spoke volumes to Orioles fans like me. The Royals, meanwhile, did what they could — leading the division for most of the season and also adding pieces (Ben Zobrist, Johnny Cueto) designed to bring the trophy home. That hasn’t worked recently as the Royals have had a month-long slide, but it’s a push we Royals fans have never seen before — or least not in the past 30 years. That says a lot to baseball. And it says a lot to your fan base. I’m still calling myself an Orioles fan, but I’m not sure my heart is in that statement. 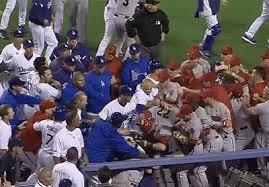 Ask me again when the Royals and O’s do battle next year. In many cases, succession or ascendancy is pretty easy to spot. It may be a boring process, and sometimes there’s a lot of tension in the rise to power, but it’s pretty obvious to all what’s happening. Sometimes, though, the rise to the top is as sudden as a coup at 0300 hours. And most people don’t see it coming until the new leader is on the throne (usually just because it happens at 0300). 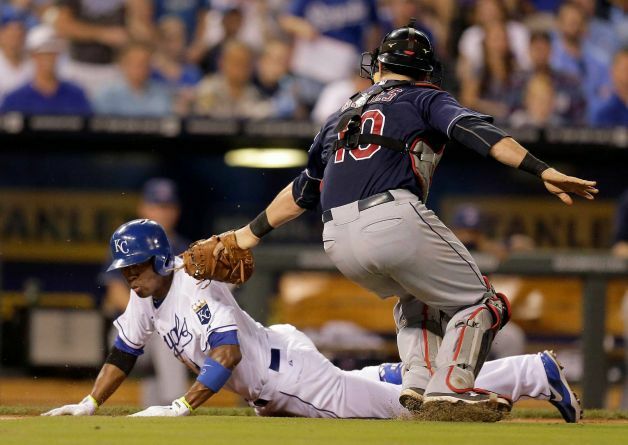 Regardless of how the World Series ends, we’re seeing that coup in broad daylight thanks to the Kansas City Royals. Not guaranteed a playoff spot until the third to last game of the regular season and scrambling to dig themselves out of a hole and win in heart-shocking fashion in the Wild Card game against Oakland, the Royals have used a combination of pitching, defense and timely hitting — not to mention an approach that went out of style some 25 years ago — to advance to the Fall Classic and captivate baseball fans everywhere. So what if the Royals were playoff virgins or half the team (or whatever the figure is) wasn’t even alive the last time the Royals won the World Series? 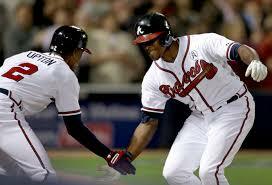 So what if they were last in both walks and home runs? So what if the manager made some, um, head-scratching decisions that at certain points of the season jeopardized a playoff push? And so what if they had to go through the American League team with the best record (the stupidly-long-winded Los Angeles Angels of Anaheim) and the team with the biggest power numbers (the Baltimore Orioles) to cement their place in baseball history? Would you have scripted the Kansas City playoff story the way it has unfolded? Did you have Eric Hosmer and Mike Moustakas playing vital roles on offense when the team needed it most? Lorenzo Cain batting over .500 in the series? Did you write in the defense making statement play after statement play? And would you have every Ned Yost move shining like gold? This playoff ride has been an inexplicable meld of factors, but in my mind the two things that stand out are revival and exorcism.The All-Star Game two years ago showed the baseball world Kansas City was a dormant, not dead baseball town. In effect, it was a dry torch waiting for a light. 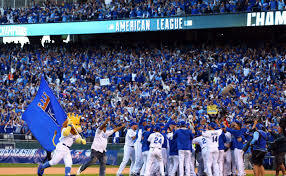 Watching the Royals not only find the match with the 2014 playoff appearance but share those moments with a starved fan base has fanned that flame with the force of Santa Ana winds. The defense of Lorenzo Cain, Alex Gordon, Nori Aoki all offset one of the plays capturing how far this franchise had fallen, the Terrence Long-Chip Ambres stare-at-each-other-and-jog-into-the-dugout-while-a-fly-ball-falls-behind-you-by-15-feet back in 2005, while the leather flashed by Moustakas makes up for Ken Harvey’s portfolio of misadventures on the other side of the diamond. Yost’s postseason success provides the comfort after Tony Muser learning of his firing from a reporter, Tony Pena dancing in the shower, Buddy Bell’s infamous “never say it can’t get worse” statement and Trey Hillman nuking Gil Meche’s career. Raising the American League trophy erases decisions on Dan Reichert (a potential bullpen stud if ever given the chance), the revolving door of managers, Jose Guillen, Neifi Perez and Eduardo Villacis. And others. Well, maybe erase is too strong a word. But it sure helps to repress those memories. And now, after 29 years losing and now finding their way, the Royals are back in the palace. The way things are going, they may well claim the throne. It’s the only end to the season that’s fitting. Earlier this fall, right around the time when he said he didn’t see any reason why the Kansas City Royals couldn’t make the 2014 playoffs, Hall of Fame broadcaster Denny Matthews made an interesting point. Time was when teams could not only get to the postseason but could make a deep run if they had four quality starters and a top-notch fireman (yes, I just dated myself). Go back into baseball history and look at some of the best starters in the game. How many games did they go start to finish? You could start seeing things change as teams went from four-man to five-man rotations in the 1980s, but still the emphasis was the same: quality starters plus shutdown stopper equaled an above-average playoff chance. Matthews’ point was this: the game has further evolved where the entire pitching corps has to be solid. If you want the best chance of a deep postseason run, you need a solid offense, good defense and no weak links in your pitching staff. 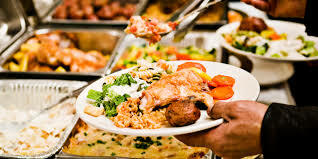 A lockdown relief corps has now become a necessity, not a passing fancy. This is why the Detroit Tigers, now down 0-2 in the American League Division Series to the Baltimore Orioles, should have no business advancing to the World Series, let alone the ALCS. Some of the initial regular season numbers don’t look bad (Joba Chamberlain, 69 G, 63 IP, 3.25 ERA; Phil Coke, 62 G, 58 IP, 3.88 ERA; Al Albuquerque, 72 G, 57.1 IP, 2.51 ERA), but some look positively awful (Joakim Soria, 13 G, 4.91 ERA; Joe Nathan, 62 G, 4.81 ERA despite 35 saves). Tigers relievers had a 4.29 ERA and a 1.48 WHIP during the regular season. 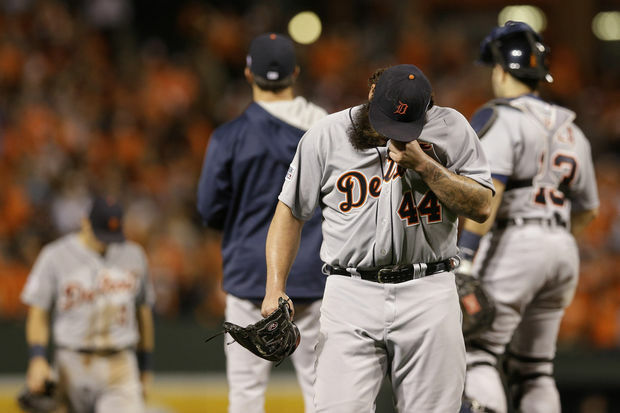 Granted, Tigers relievers didn’t get any help from their defense in Game 1. On top of that, short series tend to throw stats totally out of whack. But in this case, the stats just don’t lie. Strange things happen in the playoffs. 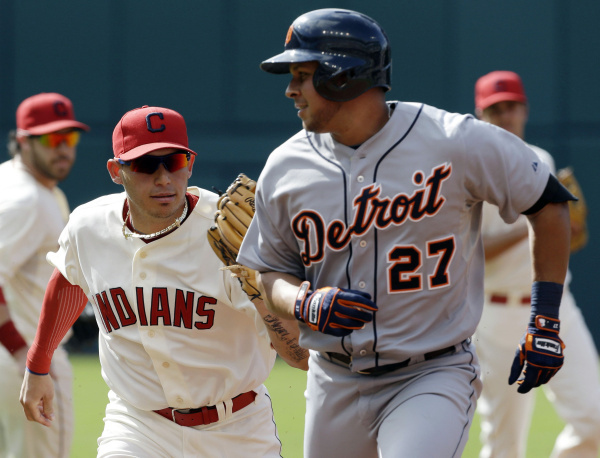 If the Tigers advance, some very, very strange things happened along the way. Two similar games (for the most part), two wins for the good guys. 1. 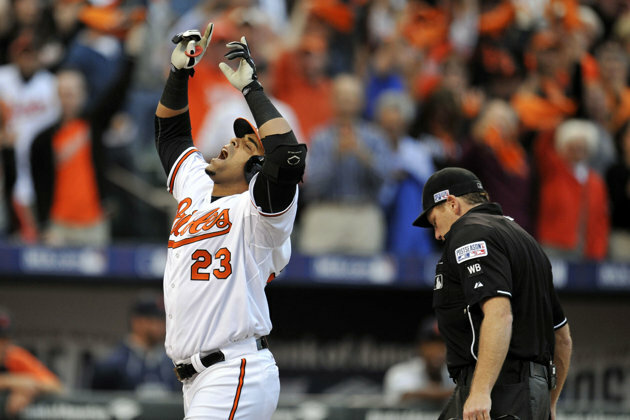 Nelson Cruz may have been toxic last offseason, but he is a critical reason why the Orioles ran away with the AL East and his home run in the first inning was an enormous tone-setter for the contest. Happening just after Adam Jones’ double play seemingly took all the steam out of the first inning, the homer fired up the dugout, fizzed up the crowd and — more importantly — gave what turned out to be a shaky Chris Tillman an early lead. 3. Detroit’s defense and bullpen struck. The Tigers aren’t anywhere close to the best defensive team, and they couldn’t stop the bleeding after an error in the eighth. 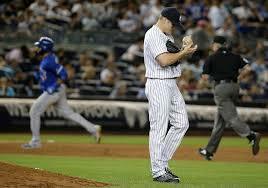 The error is one thing, but failure to stem the tide falls on the relievers. Tigers Manager Brad Ausmus really needs complete games every time out from his starters and he just won’t get that. It won’t matter what the score is — as soon as a Detroit reliever enters the game, the Baltimore chance of winning increases exponentially. 1. I’m kicking myself for not setting aside enough time to write about the Royals being built to go deep into the playoffs…if Manager Ned Yost didn’t blow up those chances in the regular season or torpedo them once they secured a playoff berth. Anyways, you saw again the flaws and the strengths of this team in Game 1. The offense simply looks overmatched at times (most of Thursday night), but pitching and defense keeps this team in enough games to give it a chance in the late innings. And when the Angels kept wasting opportunity after late opportunity, you had a sense the game would turn on one swing. 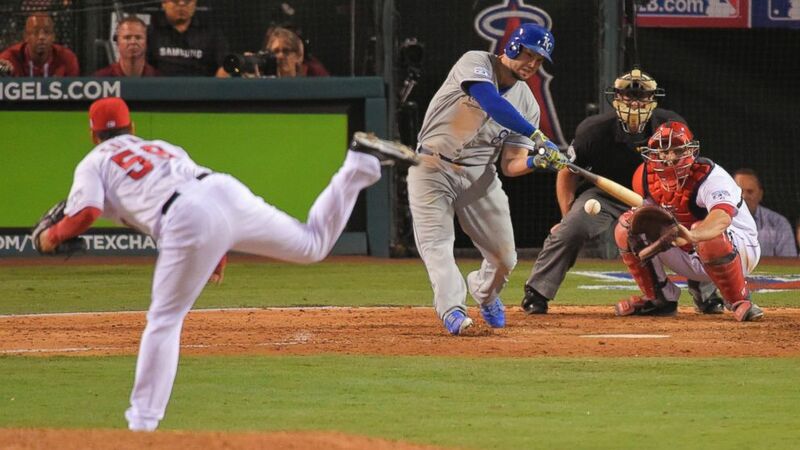 Not sure anybody felt it would come from Mike Moustakas, but wasn’t that fitting, though? That’s how it turned out and the Royals got the jump they needed. 2. Mike Scioscia #yosted his club’s chances to win, while #theoriginalyosted’s Game 1 choices actually made sense. Erick Aybar won’t be asked to bunt a lot more (I don’t think). Meanwhile, the forearm tightness Kelvin Herrera experienced had a lot of us feeling tight in other places…notably the chest. And the Game 2 choice of Yordano Ventura as your starter just scares me after his Sunday and Tuesday outings. On a separate note: happy birthday, Nash Holland. Daddy nailed down Game 1 without any issues. “This is BS. 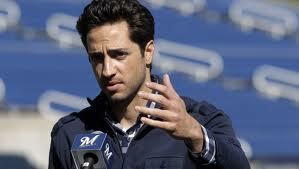 I am completely innocent.” — Ryan Braun, December 2011. Fifteen years ago, players like Ryan Braun ran rampant. Too strong a statement? Probably. But you can’t deny the arrogance proudly on display from players like Barry Bonds, Rafael Palmeiro and others who enhanced their performances chemically. 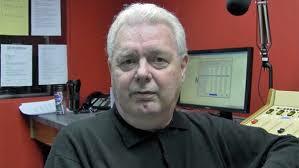 What is different now versus then is the outcry from Braun’s fellow players. You could expect former MLB greats to sound off on what Braun’s stern denials of drug use and what appears to be his Biogenesis line to all sorts of disallowed substances means to the game. But look at the comments from McCarthy, Schumaker and others. This simply would not have happened when baseball — and many fans — essentially turned a blind eye to the obvious in the 1990s and early 2000s. Would not have happened, at least not for the media’s benefit. Were players scared to step forward? Likely so. 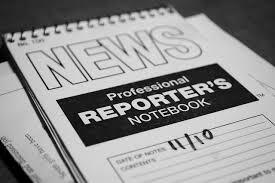 The union was continuing its defend-at-all-costs, baseball-be-damned approach, and the blowback from the media only seemed to steel the union’s backbone. As I remember, there was very little public support for the players who were clean, and especially for those who decided to speak up. Man, how things have changed. Personally, I love the fact Braun has largely (unfortunately, not universally) been blasted for his lies. I understand a lot of pundits and talking heads have taken to hyperbole to express their shock (!) and dismay about Braun. That’s wasted effort, especially now that players are finally stepping forward. It’s a total change, and it’s the only one which can move the sport forward. 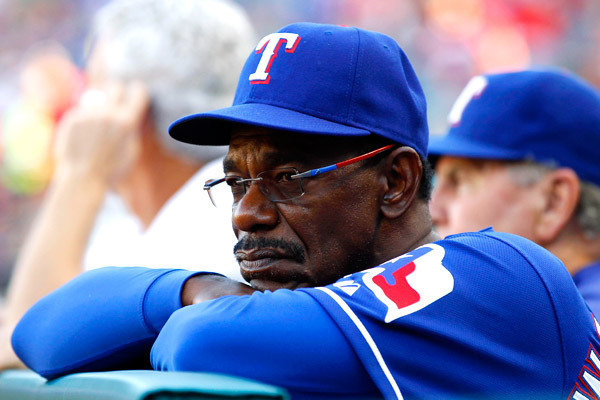 It’s the change from within needed to start marginalizing the baseball drug culture. The thing that’s needed now is a bigger stick. 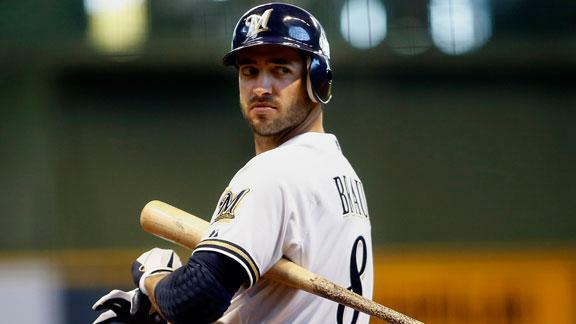 A 100-game suspension or the 65 games Braun is receiving simply won’t do. Players are increasingly calling for a no-strike policy — you’re busted, you’re confirmed, you’re done. You’re out of the game. Another option likely won’t happen for years, but it’s worth considering. Listening to Kansas City’s 610 Sports this week, The Drive hosts Danny Parkins, Carrington Harrison and Jayice Pearson discussed linking a contract status to drug use. In short, you’re caught and your club can void your deal. After burying their heads in the closest sand for so long, and with the public tide on drug use dramatically turning — as evidenced by Braun — it only makes sense for owners to jump on the PR train before it leaves them behind. The union may balk, but I think you might be surprised to see how many players approve the idea if it can feasibly clean up the game even more. I’m not stupid. The drug culture is simply going underground for now. 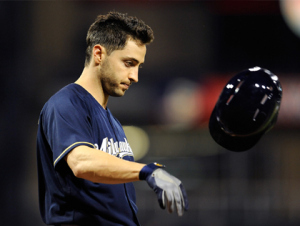 But the response of players to Ryan Braun and the others likely doomed by Biogenesis is encouraging for baseball moving forward — and keeping that drug culture on the margins of the sport instead of near its heart. “I am not perfect. I realize now that I have made mistakes. I am willing to accept the consequences of those actions.” — Braun, July 22. “The truth still hasn’t changed.” — Braun, July 9. No, Ryan, it hasn’t. You and every other cheater, regardless of the sport, need to be banned. 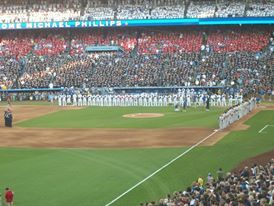 It’s hard to believe it has been a year since my good friend Sean Thornton and I took in the All-Star Game at Kauffman Stadium, a time that is among the best baseball experiences of my life. Well, the All-Star Game is back…neither of us are going…and if it wasn’t for some work-related stuff, I’d be catching snippets of the game in between Dog With a Blog or Sam and Cat or something kid-related. Anyways, the season is officially past the halfway point, but this is always a time to look at the first half of the season and see who may have a good chance of making — and missing — the upcoming playoffs. 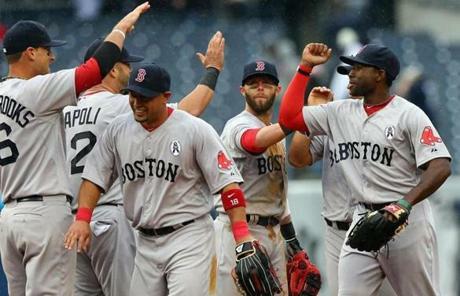 In the playoff mix: Boston, Tampa Bay, Baltimore, Detroit, Cleveland, Oakland, Texas. Boston is making it verrrry difficult to not be the AL favorite for the second half of the year. Oh, sure, Detroit looks good at times and Oakland continues to surprise (maybe it shouldn’t anymore), but the BoSox are just rolling now. Tampa Bay shot up the AL East charts with a huge run leading up to the break, and as much as I hate to say it…right now I’d pick the Rays over Baltimore if it comes down to those teams fighting for a wild card. 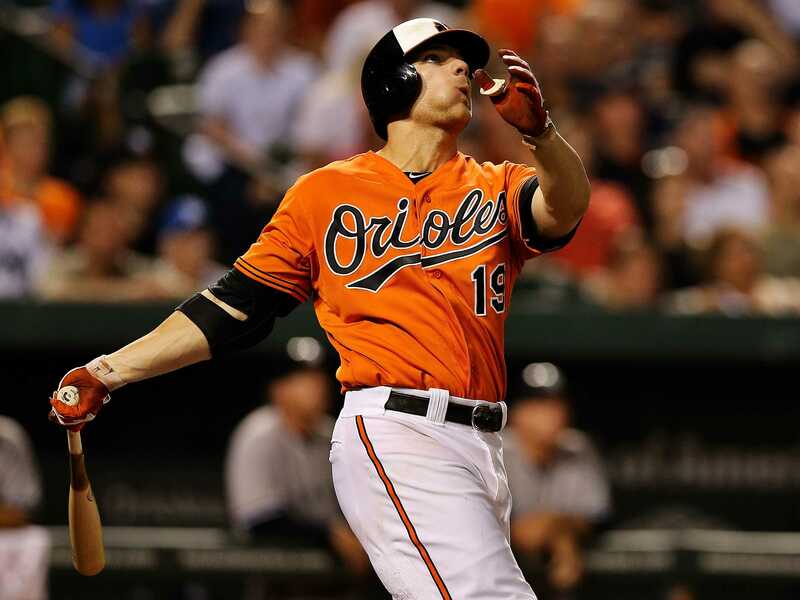 I don’t see Chris Davis getting all the mistakes he’s seen so far, and the Oriole rotation/bullpen still has some holes. I have no idea how to call the Oakland-Texas race, so I won’t. On the outside looking in: New York Yankees, California (excuse me, LA) Angels. I’m sorry, but I just see the Yankees riding a geriatric roller-coaster the rest of the year (translation: more injuries, a lower winning percentage in August and September). The Angels? Well, what do you do with Hamilton and Pujols? 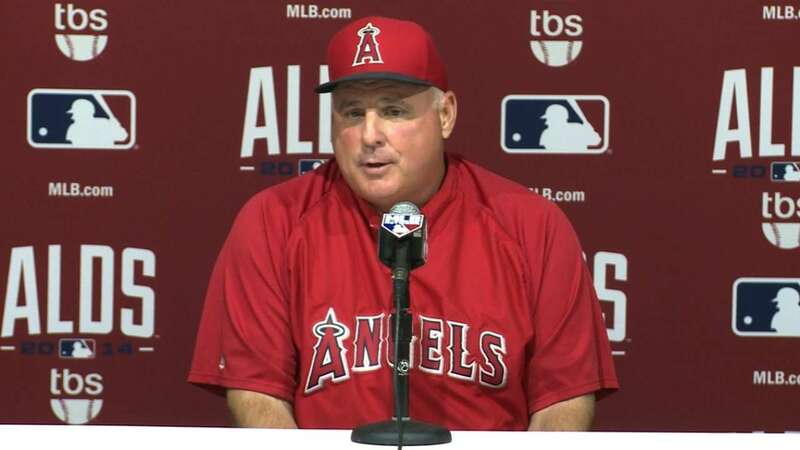 And is this Scioscia’s last year at the helm? Angels brass would be stupid to push him out, but that’s possible. Better start looking at winter resorts: Toronto, Kansas City, Minnesota, Chicago White Sox, Seattle, Houston. A couple of these teams (Minnesota, Houston, Seattle), you knew this wasn’t their season. On the other side, so much was expected in Toronto with that big infusion of free agents. Look at how well that went. 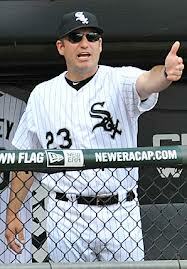 The wheels are coming off the Robin Ventura experiment in Chicago (he’d have a better chance if the White Sox weren’t so fundamentally bad). 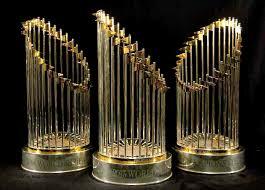 Which leaves Kansas City, tantalizing with its talent, deluded in its thinking if Royals management decides to make a playoff push. The first two series (Detroit and Baltimore back-to-back) after the break decide whether the Royals sink or tread water. A three-team race for the East Beast title. 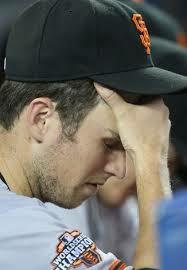 Pirates fans are hoping another summer swoon isn’t just around the corner like what happened last year. I like the Reds, but my guess is Atlanta and St. Louis will take their respective divisions pretty handily. If the Pirates can stay afloat, pardon the pun, it’s bye-bye Reds for this year. I did not expect the Nationals or the Dodgers on this list when the season began. Like the Royals, I think both the Nats and Dodgers have to come out of the break on fire to have a chance. 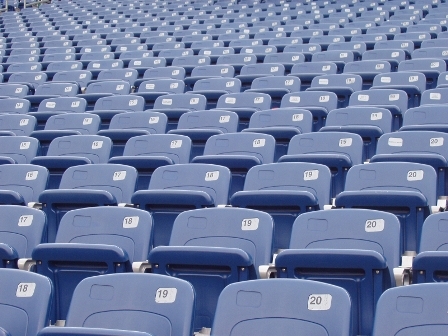 Philly needs that too, but they remind me of the National League’s version of the Yankees. Really, when it comes to the West, put the Diamondbacks, Dodgers and Rockies logos under a hat, shake it up and pull out a name. That’s who wins. The others stay home. You knew Miami would be embarrassingly bad, but they are pushing that benchmark lower as the season progresses. And, honestly, I could say I expected most of these teams on this list at this time of the season. I was not expecting the Giants, though. After last year, I had anticipated they would be well ahead of the NL West. Lincecum’s no-hitter was a nice bump of momentum, but don’t expect it to last long. 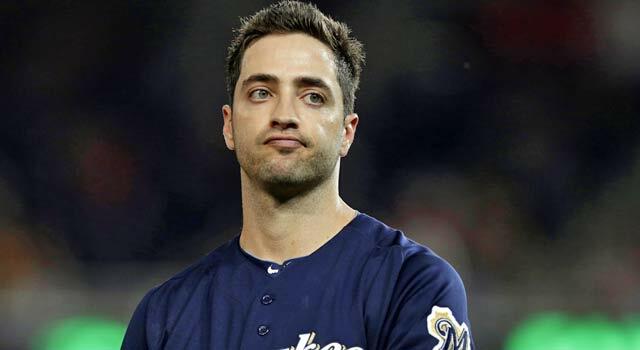 The team with the biggest headache (aside from the record) is obviously the Brewers as they await MLB’s ruling on Ryan Braun. What a hangover that could be. Maybe that’s not the term I should use. Sorry. There you have it. Go O’s. Go Royals. Go home Yankees. And go enjoy the second half of the season.